Smart Wall is a thermal shop front screen and door system suitable for all types of ground floor treatment where enhanced thermal performance is required. The system is ideal for use in schools, colleges and other educational buildings. Smart Wall has recently been successfully tested to LPS 1175 level 2 and BS ENV 1627 Level 3 for enhanced security performance making the door one of the best performing fully thermally broken screen and entrance doors available in the UK. Screen work is either beaded or pocket glazed with anti-finger trap door sections and drainable low thresholds. 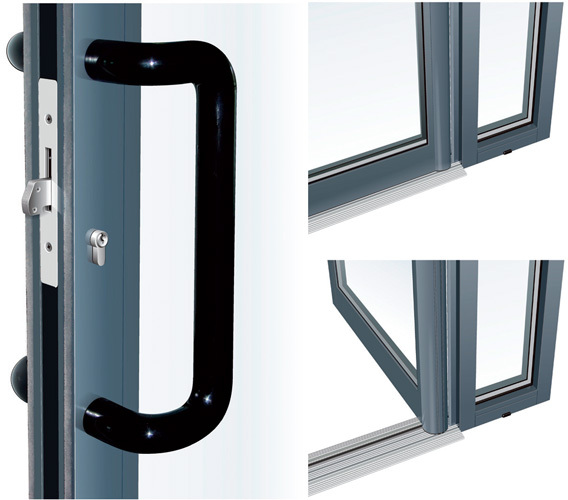 All profiles feature polyamide barriers to maximise thermal performance and can be internally or externally glazed. Unlike non-thermal alternatives, Smart Wall is available in dual colour from an extensive range of standard and non-standard finishes. Smart Wall complies with the latest requirements of Document L for thermal transmittance.